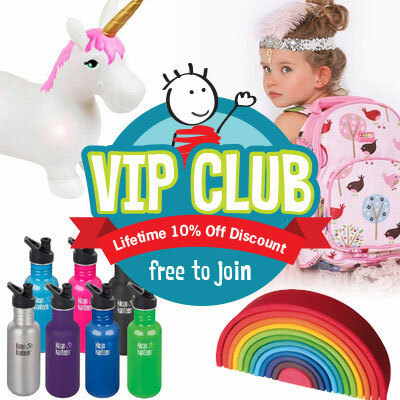 I’ve been in business selling wooden toys and educational toys for 8 years now. When I first started I knew I loved wooden toys. There weren’t really many around and they were difficult to find. Thankfully now there are loads around in shops everywhere, but processes vary so much and the word ECO FRIENDLY TOY is thrown around so much – I've been wondering what REALLY makes a toy 'eco friendly' . What do all these words mean – sustainable wood , FSC certified , non toxic etc. ? You would be forgiven for believing that any type or brand of wooden toys is a safer option for your children to be playing with as opposed to plastic toys, as wood is a natural material, but… not all wooden toys are created equal and we parents need to be very aware of this. Cheaper toys tend to be very poor quality and can break easily. Be wary of anything that has small pieces that can break off and become a choking hazard. Anything smaller than a ping pong ball can get trapped in airways. Cheap toys are not designed for longevity – even cheap wooden toys. They simply are NOT made to the same standards and quality assurance that their higher priced wooden counterparts are. 40 years ago wooden toys were huge and the really the only items around for kids. There wasn’t a lot of plastic used . My own sister (who was 15 years older than me) was given a wooden rocking horse to play with when she was a toddler and ended up chewing on the paint and got lead poisoning, causing her to have brain damage. People still remember those days and the days after where wooden toys imported from china meant that the paint may be toxic and end up harming our children. What I have found though over the years is the diversification in wooden toys and the quality starting to hugely differ. We’ve all been to shops and seen a similar styled product (usually ripped off from another brand) for kids at ¼ of the price but when comparing the two products you can see a huge variation in both quality and detail, even the wood smells and feels different. This is because they are often made from cheap, mass produced, MDF and Ply-woods and glued together with toxic glues and other adhesive material. Often these toys are finished with cheap, paints, glues & lacquers. Go Green With Eco Friendly Toys … but what IS an eco friendly toy made from ? Eco friendly toys are environmentally safe because the materials used to create the toys are natural, biodegradable and also recyclable. For example, these toys use water based paints which reduce chemical waste and are safer for children. Wood will obviously recycle and in time break down – thus making it better for the environment . Rubber wood toys are more sustainable than regular wood toys. They are environmental friendly also. The toy dress should be made of organic wool or cotton as the fibres do not create any pollution leading to greenhouse effect or global warming. Another great choice for eco-friendly material which is widely used to make toys is bamboo. This is a type of grass which grows as tall as a tree in just a time period of three years. This has been used for many centuries in China for building furniture, house and boats. Bamboo toys are perfect for kids as they are very strong, light, flexible and safe. 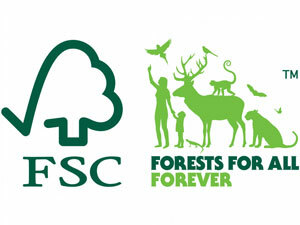 What IS FSC and or sustainable forestry ? Sustainable forest management is the management of forests according to the principles of sustainable development. Sustainable forest management has to keep the balance between three main pillars: ecological, economic and socio-cultural. So no cutting down the forest and wreaking havoc on the environment , the poor animals and people that live there etc. Which woods are most sustainable? Timber is usually classified as either hardwood, from broad leafed trees like beech and oak, or softwood from conifers like pine and fir. Simply because they're replaceable, fast-growing species like pine trees or bamboo tend to be more sustainable than slow-growing trees like oak. Many companies are paying to now get certification from the FSC (Forest Stewardship Council) .. Basically it’s a not for profit organisation set up to take care of the world’s forests for future generations (think stopping disastrous clearing in the Amazon etc), making sure that future generations have forests. It sets the standards for what is responsibly managed forest both environmentally and socially. The FSC consults with global network of members (much like WWF and Greenpeace) to ensure that forest standards represent everyone’s needs, from Indigenous Peoples to endangered animal species. Seriously – how cool is that !!! What does Non Toxic paint mean – what should I look for ? As I stated above – I’m really cautious about paint because of what happened to my sister. Its not common anymore for companies to use lead in paint but unfortunately it does happen especially when toys are mass produced in countries that have little quality control. It is very much quantity over quality and often these toys are finished with acrylic paint that is cheaply made, glue and lacquers that barely slip into the “safe” category. Green washing is a big thing in today’s society (meaning that just using the words ECO or non toxic, or even popping a tree on the box to make you think you’re buying a product that is a “natural toy” choice is a huge marketing ploy. Its half the reason we are all so confused!! Ethical Eco conscious wooden toy manufacturers use wood only from sustainable sources (see above) , as well as choosing to use safer water, soy and vegetable based paints, adhesives and coatings. In today’s day and age it really upsets me that toys still slip through that contain lead in the paint, or formaldehyde in the glue used on the toys. So basically the main thing is that YES – ethically made eco toys are MORE expensive than mass produced counterparts found in some department stores. This is because they are stringently monitored, they are generally a part of FSC or a similar sustainable philosophy. They generally cost substantially more to manufacture so their retail prices will be higher. I’m super excited to be learning all this and to start to provide more of an eco focus on our educational and wooden toys that we already stock. Hopefully you have learnt a little bit more too. Click here to see our best selling Eco Toys!